How to improve your effectiveness and return on investment Security solutions for both residential and commercial property are becoming more sophisticated as technology advances. Nowadays there are many more tools available with which to combat possible threats. Improved network bandwidth and infrastructure, advancing CCTV technology and larger hard drives are just some of the offerings that enable the intelligent Solutions Provider to deliver superior and efficient solutions to the property industry. The challenge for solutions providers is ascertaining the best method of taking advantage of these technologies to satisfy their clients’ needs. In this document we outline some ideas to achieve this. With several disparate technologies providing excellent individual solutions, it has become increasingly difficult for security and site managers to take a “holistic” view of the overall requirements of the site. In the case of most properties, access control, fence monitoring solutions, CCTV, intruder alarm systems and fire detection systems, among others, are all running on their own unique platforms. The assimilation of information from all of these individual systems in the event of an incident is often confusing, time consuming, and in some instances almost impossible. Each unique solution (Access control, CCTV, Intruder systems etc.) is specialized in its own right so to expect one supplier or product to provide excellence in all of these areas is asking the impossible. For example, the challenges in storing video data events are far more complex than storing Access control transactions. 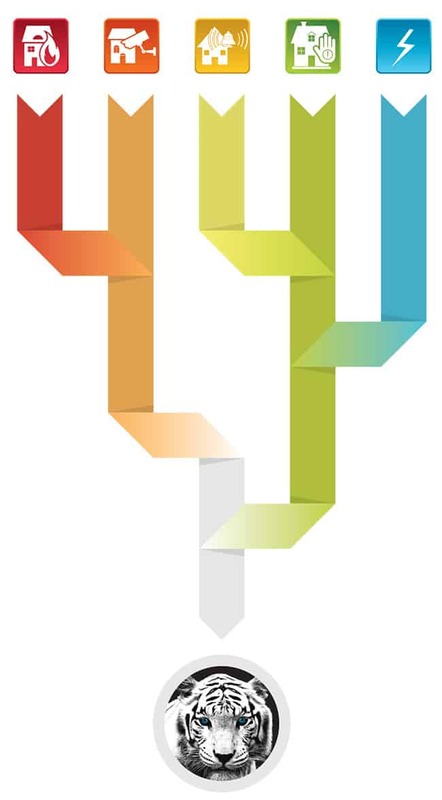 In the reverse, the “rules” and reporting requirements for access control are more demanding. Having said this though, there is a level of integration that can be applied to satisfy most of the requirements for providing an efficient mechanism to property managers. Looking at a typical case study will help demonstrate this. Each of these systems operates effectively but on its own. Imagine, hypothetically, perpetrators climbing over the fence into the housing estate and breaking into a specific dwelling. They then steal goods and exit via another area of the fence. A fence alarm is received in the control room. The operators now need to verify the alarm by looking at CCTV footage. They need to know or ascertain which camera to view in order to see footage from the specific fence “zone”. Once they have found the relevant camera, if it is a PTZ cam they need to move it to the specific area of the fence. Chances are that by the time this has occurred, the perpetrators are already in another area of the estate. An alarm is now received from a specific dwelling on the estate. Again, the operators need to know which cameras are associated with which dwelling and, if there are multiple cameras, which camera is associated with the specific zone. The question raised is also whether this is remotely feasible. A new fence alarm at a different area of the estate is now triggered as the perpetrators exit the scene. Again, by the time the operators have decided what cameras to access there is a chance that it is too late to identify where the intruders are, giving them enough time to escape. It’s evident from the above description how difficult it is even for the most experienced operator to respond effectively to event triggers from multiple systems being used. 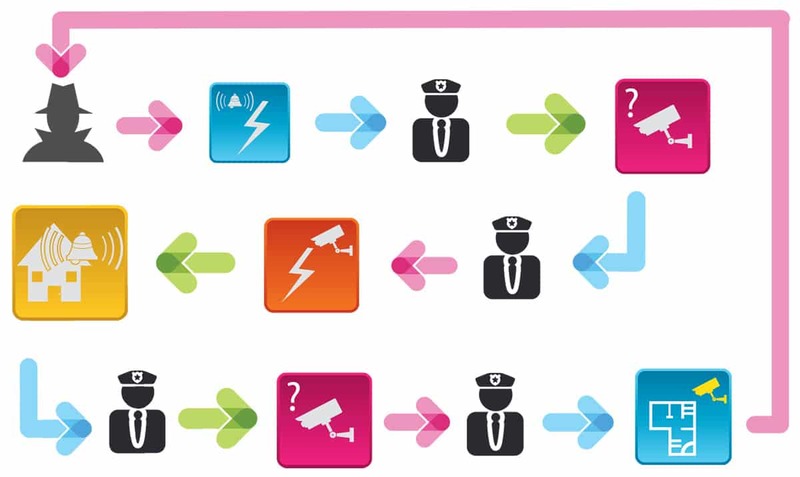 The electric fence monitors send data to the CCTV system, which logs an event. This in turn moves a PTZ camera to the geographical location of the alarm and records pre-events and post events from the camera associated with the alarm for automated, targeted recording. The operator instantly now has the perpetrators under surveillance and can inform ground staff as to their location. If the perpetrators get as far as to break into a dwelling, then the alarm panel in the dwelling sends data to the CCTV system, which automatically switches to a map of the dwelling. A selected camera then switches to a monitor, playing an audible (pre-recorded) message and logs the event while also associating video footage with the logged event. Again, the relevant camera is automatically selected for the operator. Item 1 is repeated if the perpetrators exit via the fence, but with this solution the chances are that they will have already been apprehended. The above scenario clearly demonstrates the advantage of an integrated approach being implemented and the use of automated actions taken by CatVision Surveillance System being triggered by events from the various sub-systems. It has taken the human element out of the decision making process and significantly increased the probability of the apprehension of the perpetrators. If we look at the case study, imagine having to assimilate information from all the sub-systems in order to perform analysis or generate an incident report. There are also dramatic advantages when doing forensic analysis of an event. 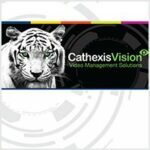 CathexisVision Software provides all of the above and enables you to find transactions from the various systems along with the associated video recordings that were triggered by the event trigger. These events can then be archived for analysis, both on or off site, or in a court of law. A host of other features, such as Mobile phone access for tenants and unparalleled system health monitoring, are also provided to provided to complete an extremely powerful, solution.